“We put our government at the disposal of President Mahmoud Abbas, and we welcome the recommendations of the Fatah Central Committee to form a new government,” Hamdallah tweeted, shortly after Abbas had ordered him to dismantle the government. Fatah’s monopoly over Palestinian politics has wrought disasters. Neither did the PA deliver the coveted Palestinian state, nor did Fatah use its influence to bring Palestinian factions together. The opposite is true. Most of these 17 governments were short-lived, except that of Hamdallah, which has governed for five years, even though it failed in its primary mission: healing the terrible rift between Fatah in the Israeli Occupied West Bank, and Hamas in Israel-besieged Gaza. 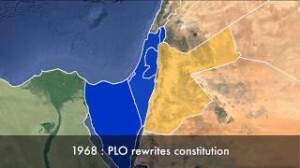 Moreover, it also fell short of bringing PLO factions closer together. Thus far, the second-largest PLO faction, the Popular Front for the Liberation of Palestine (PFLP) refuses to participate in a future government that will also be dominated by Fatah. Abbas was elected on a weak popular mandate, as Hamas and others boycotted the presidential elections. His first and only term in office expired in 2009. For a whole decade, neither Abbas nor any government of his has operated with the minimum requirement of democracy. Indeed, for many years the will of the Palestinian people has been hijacked by wealthy men, fighting to preserve their interests while undeservingly claiming the role of leadership. The 2007 Fatah-Hamas clashes which led to the current extreme polarisation have split Palestinians politically, between the West Bank, under Abbas’ authoritative control, and Hamas, in besieged and struggling Gaza. While Israeli leader, Benjamin Netanyahu, often complains of the lack of a ‘Palestinian partner’, his government, with the aid of Washington, has done its utmost to ensure Palestinian division. Several agreements between Fatah and Hamas have been signed, the latest, which appeared most promising, was achieved in October 2017. Palestinians were cautious, then, but also hopeful as several practical steps were taken this time to transfer legal responsibilities from Hamas to the Hamdallah government, whether in the various Gaza ministries or at the Rafah-Egypt border. Some sinister force wanted Hamdallah dead, or, at least, it wanted to send a violent message providing the political fodder to those who wanted to stall the political progress between the two main Palestinian parties. Hamas quickly claimed to have apprehended the culprits, while Fatah, without much investigation, declared that Hamas was responsible for the bomb, thus stalling and, eventually, severing all reconciliation talks. Abbas is now 83-years old with increasingly debilitating health. His supporters within Fatah want to ensure a political transition that guarantees their dominance because political monopoly offers many perks: wealth, privilege, power and prestige. For Fatah, Hamdallah and his ‘reconciliation’ government have ceased to serve any purpose. Additionally, a unity government with other Palestinian groups at this crucial, transitional period seems too risky a gamble for those who want to ensure future dominance. – Ramzy Baroud is a journalist, author and editor of Palestine Chronicle. His forthcoming book is ‘The Last Earth: A Palestinian Story’ (Pluto Press, London). Baroud has a Ph.D. in Palestine Studies from the University of Exeter and is a former Non-Resident Scholar at Orfalea Center for Global and International Studies, University of California Santa Barbara. His website is www.ramzybaroud.net. The post As Abbas Ages, Fatah Moves to Consolidate Power appeared first on Palestine Chronicle.